Microwave Update 2017 will be held on October 26-29, 2017 in sunny Santa Clara, California. The MUD conference is dedicated to microwave equipment design, construction, and operation. It is focused on, but not limited to, amateur radio on the microwave bands. The 50 MHz and Up Group of Northern California is pleased to host this year’s event. For more information, please check out the MUD 2017 webpage at www.microwaveupdate.org . Please forward this announcement to any other mail lists and clubs that you may belong to. There won’t be an evening WVARA meeting in July or August. Instead, we are having our annual WVARA BBQ. Our location (see map below, the reservation is under “WVARA”) includes multiple tables, grill, an AC outlet, and a covered awning for shade. 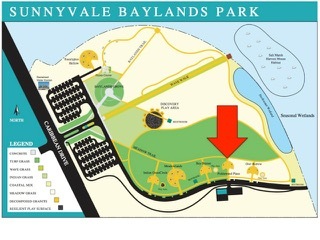 There is an entry fee per car at Baylands Park, so you may prefer to carpool. We’ll have hot charcoal and condiments — please bring your own meat to grill. Our BBQ coincides with the SSB portion of the North American QSO Party (NAQP) which means this is an ideal opportunity for a really fun portable radio operation. (NAQP Contest rules are at: http://www.ncjweb.com/NAQP-Rules.pdf). It is with great pleasure and excitement we announce the official Grand Re-Opening final date for our newly upgraded Oakland Store at 2210 Livingston St. in Oakland, California. On June 17, 2017 we will have a representative from Yaesu on hand. We will also have ABR Industries, Alinco, Bioenno Power, Comet-NCG and Uniden on hand. We will have hourly prize drawings and refreshments on hand for each of the dates above. Come join us at our newly renovated store and meet our some of our manufacturer’s representatives, check out our massive in-stock inventory and have a chance at an hourly prize and or a grand prize toward the end of the day. Entry is FREE! If you happen to stop by around lunch time, lunch will be on us as we will have sandwiches and water on hand from Subway. This is going to be a special event and we are proud to bring it to the Bay Area. Don’t miss out stop by and see what we have done to HRO – Oakland. 2017 Field Day is just around the corner. Field Day is ham radio’s open house. Every June, more than 40,000 hams throughout North America set up temporary transmitting stations in public places to demonstrate ham radio’s science, skill and service to our communities and our nation. It combines public service, emergency preparedness, community outreach, and technical skills all in a single event. Field Day has been an annual event since 1933, and remains the most popular event in ham radio. W6PIY – Operating in the Santa Clara Valley. Repeaters on 6 meters, 2 meters, 1.25 meters, .70 meters and .23 meters. See our meeting schedule page to get started with WVARA. Meet new Hams and attend our events.